What a terrific year this has been for Riverfront! We bring our 10th season to a close tomorrow with our cast and crew potluck party, and get ready for another summer to rest up for September (with the exception of some worker bees and fundraising events being planned for June and August, of course!). It’s been an incredible year. 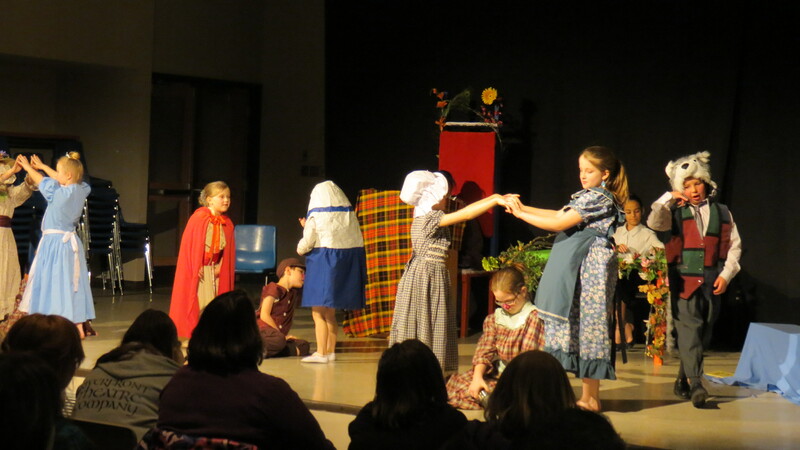 We managed to put our kids on the stage for another three beautiful productions. 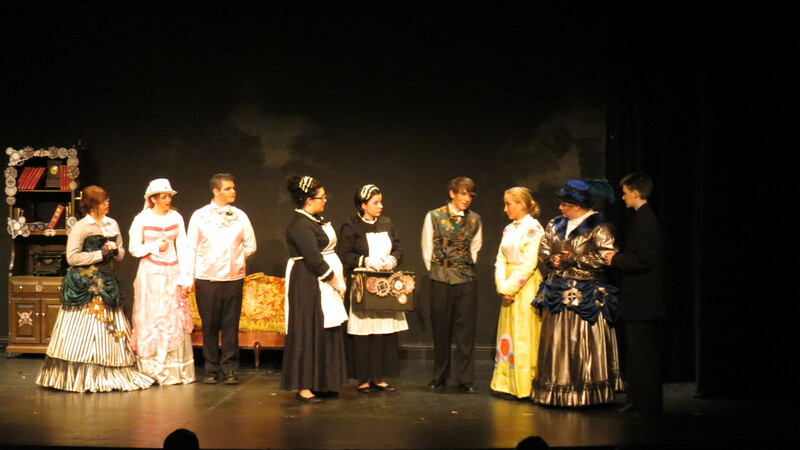 February brought us to the Kelly Stage of the Capitol Theatre with our Senior High production of The Importance of Being Earnest, directed by Amber Milne and Jacquelyn Poulin. Set as a steampunk production, with absolutely stunning costumes by Nicole Jobin, and a gorgeous set designed and constructed by John Garswood, this was exactly the meaty challenge that our Seniors had been looking for – and they rose capably to the challenge, entertaining our audiences throughout the entire weekend. 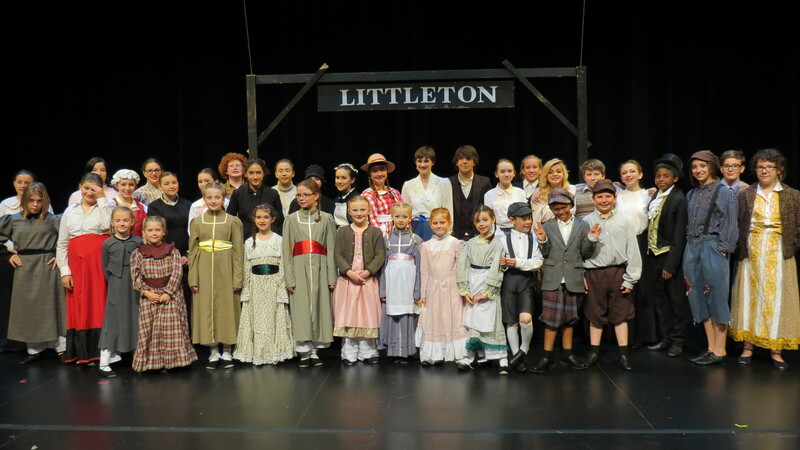 In May, our entire company came together to bring a musical production of Pollyanna to the stage. Directed by Kristina Garswood and Kerri Jubenville, with the assistance of Amber Milne, this beautiful musical capped our season by delighting the approximately 1,200 people who came through the doors to see us! It was a lovely production that was a joy to work on throughout the season. We were more than grateful for the live music that was generously provided by Joanna Shultz, who dedicated an enormous amount of her time voluntarily to make our kids shine on stage. Huge thanks also go out to Erin Armstrong, who volunteered several rehearsal days to provide vocal coaching. This has been, as RTC usually is – the year of the volunteer. Our entire crew dedicated so many incredible hours to make everything possible for the kids. Nicole Jobin sewed her fingers to the bone again – Joanna played and played and played to make the music just right. The Entertainment Technology students from St. Clair rallied around us for three separate productions, Drake Prosser-Spence came every weekend, exhausted after his own rehearsals, to work with the kids to have them dancing for Pollyanna. And in January, we were blessed when Kerri Jubenville came on board and started directing with Kristina and Amber. What a difference she has made – immersing herself in every aspect of production. John Garswood and Doug Clarkson were certainly more than grateful to have her on board for set design and production! We are so fortunate in our volunteers – the people who make it possible to get the kids on stage to shine – which they did, again. The kids work hard, and work together, to bring these shows to Windsor and Essex County. They’ve done themselves proud for another season, and we’re now researching our selections for plays next season. Thank you to everyone who works so hard to make it possible – volunteers, sponsors, parents, and kids – and you, the Community, who come out to enjoy the plays! God bless you, and we’ll see you again<a in September! Next: Next post: Looking for Sponsorship for our Upcoming Season!